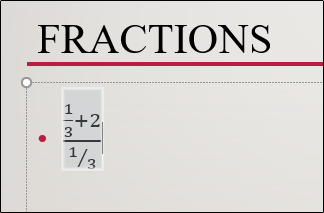 If you’re giving a presentation for a company or teaching a lesson in a math class, it’s likely you’ll be using fractions in the presentation. PowerPoint provides several different fraction structures, including skewed, stacked, linear, and small. Here’s how to use them. There are a few ways to write fractions in PowerPoint. If you’re happy with the default fraction structure that you get by simply typing in the fraction, that’s great! 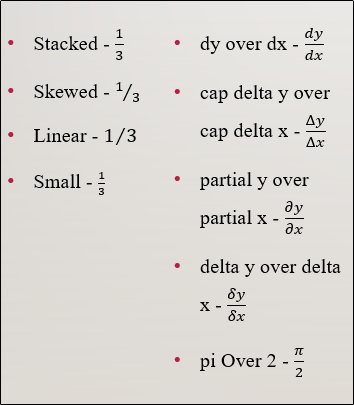 If you’re discussing more complex equations, it might be worth looking at the other available structures in PowerPoint. 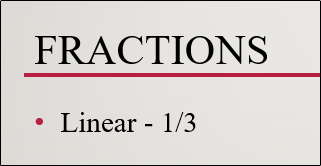 As mentioned before, the default fraction structure that you get by simply typing the fraction in PowerPoint is called a linear structure. 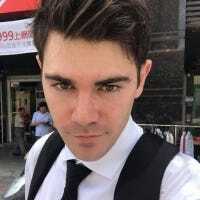 Here’s an example of how that looks. In this case, the fraction maintains the current font style and size settings as the rest of the text in your paragraph. When you use the tool provided by PowerPoint to insert the linear fraction, it reformats it a bit. Here’s an example of how that looks. As you can see, it looks a bit different than when you type it in directly. The inserted version italicizes the text and uses the Cambria Math font. These structures should give you the flexibility to use fractions however they best support your material. We’ll leave deciding which fraction structure to use up to you. Whatever you decide, here’s how to find them. First, head over to the “Insert” tab and click the “Equation” button (the pi symbol). This open a specialized Design tab in a new tab group named Drawing Tools. 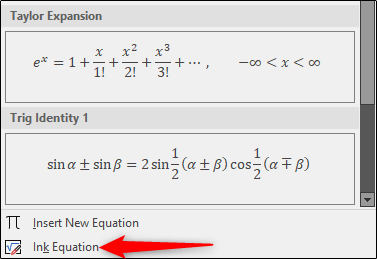 You’ll also notice that a new “Type equation here” text box appears on your slide. On the “Design” tab, click the “Fraction” button. You’ll now see the fraction structure you selected appear in the slide. 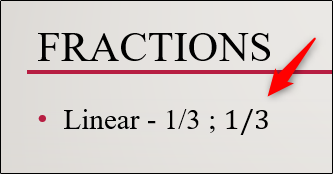 Now all you need to do is insert the numbers into your fraction. Another neat feature in PowerPoint is the ability to draw fractions. Back at the “Insert” tab, click the down arrow under the “Equation” button. 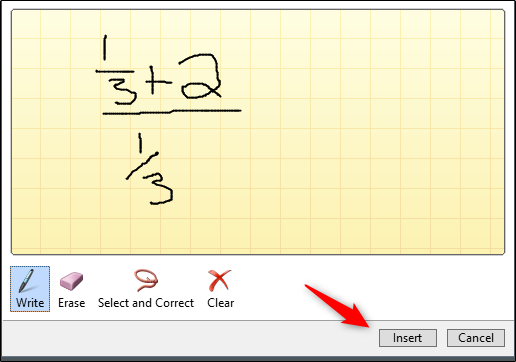 The “Math Input Control” window now appears, allowing you to draw your equation. If you’re not using a touch-enabled device, you can use your mouse. Let’s try a simple fraction first. As you can see in the above GIF, we (sloppily) drew 1/3 in the stacked fraction structure. 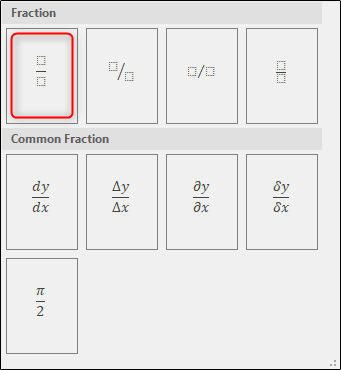 PowerPoint gives you a preview of the fraction in the area above the drawing pad. Now let’s see what happens when we draw something a little more complex. You’ll now see the equation appear in the PowerPoint slide. Using the drawing tool, you can draw any fraction structure you like. However, keep in mind that it’s a pretty sensitive tool, so it’s easy for it to mistake your drawing for the skewed structure when you wanted the stacked structure instead. Be sure to draw everything as neatly as possible. If you mess up, you can always use the provided erase feature or just clear the equation and start over.